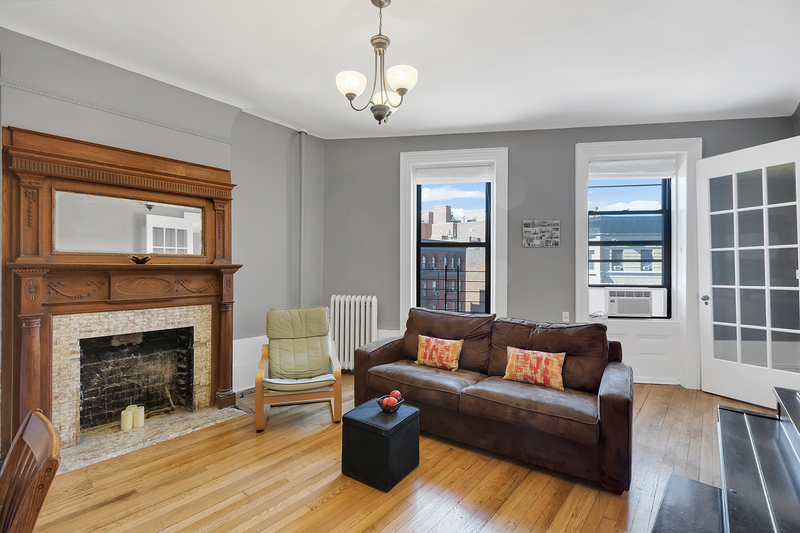 Currently configured as a three-bedroom, two-bath home, this wonderful six room pre-war apartment has been lovingly updated. The kitchen comes fully equipped with new custom cabinetry, new flooring, Caesarstone countertops, subway tile backsplash, recessed lighting and built-in stainless steel appliances. Buyers will love the addition of a second bathroom outfitted with a new washer/dryer and marble topped double sink vanity. Beautifully restored French doors separate the grand formal dining room from the grand living room. All three bedrooms have ample closet space and can easily accommodate a full and/or queen sized bed. This apartment also has plenty of light and pre-war details including high ceilings, exposed brick walls, decorative fireplaces and original hardwood floors. 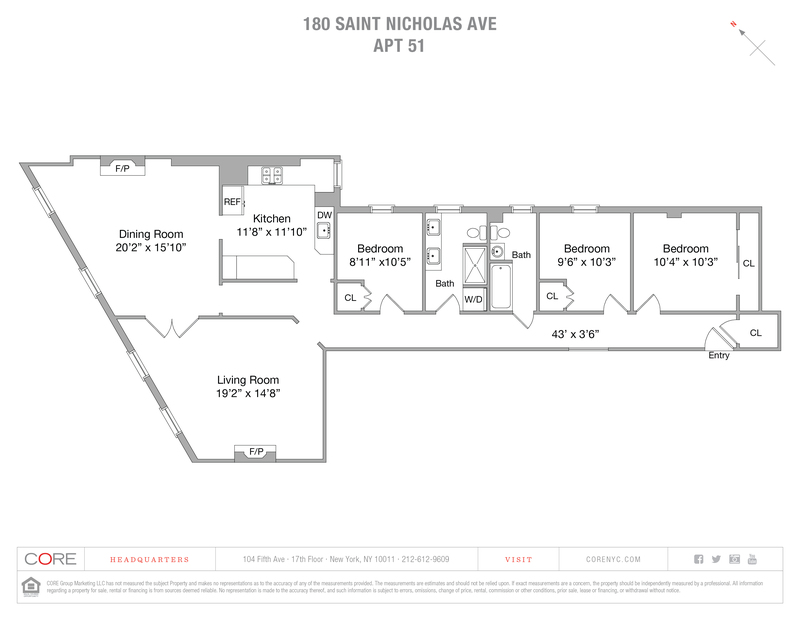 180 Saint Nicholas Avenue is a well-managed HDFC coop building with an elevator and live-in super. 30% flip tax on resales. Additionally, the apartment must be your primary residence.